Home > Posts tagged "undocumented students"
Taha Mowla, an 18-year-old graduate of Dickinson High school in New Jersey, who has lived in the U.S. for the past 16 years, was set for deportation because his lawyer missed a filing date on his application for permanent residency when he was a minor. His pending deportation set for July 29th to Bangladesh was brought to a end when Taha was granted deferred action by the Department of Homeland Security, thanks to tremendous efforts from fellow DREAMers, SEIU and Dreamactivist.org. Supporters of Taha’s deportation termination signed petitions, co-signed Senator Menedez’s letter on Taha’s behalf, called DHS’s Secretary Janet Napolitano and urged her to defer action on Taha’s deportation, called New Jersey Senators Menedez, Lautenberg, and Congressman Sires to sign a private bill on Taha’s behalf, as well as join Taha’s Facebook Group. Their selfless efforts made a huge difference in Taha’s life. DREAMers who are still at risk for deportation. Both Taha and Walter, who were granted deferred action by DHS, will be working with DREAM activists and grassroots organizations to provide the same assistance they were given to other DREAMers who are bombarded with difficulties in pursuit of a better life and education. 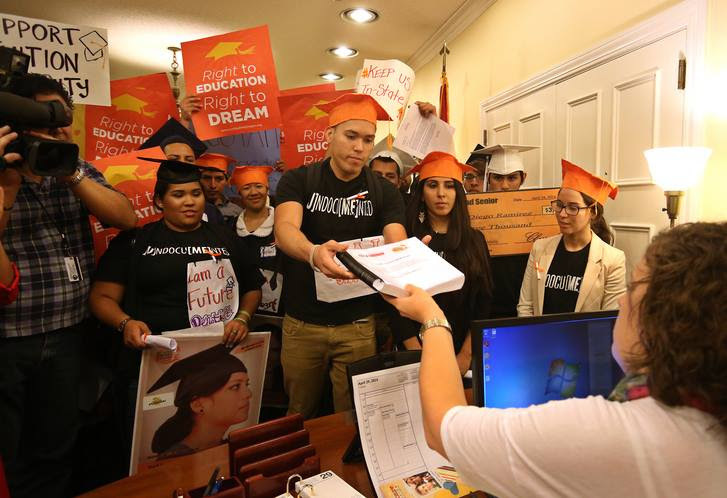 It is up to all DREAMers and supporters to take action and help us pass the DREAM Act in order to prevent situations like these and provide better education for all DREAMers! Si se puede!